One of the greatest legacies of Europe is the castles, numbering up to many hundreds or even thousands. Castles as old as 800-1000 years still exist on the continent. While many are in excellent condition, others show significant signs of wear and yet others are badly in need of restoration. Many castles have been renovated into luxury hotels and spas, while a number of others are being used as homes. Castles for sale in Europe are still being offered, with many castles still waiting for takers. Let us take a look into some of the most famous castles of Europe. Located in Switzerland’s Saxon Region in the side valley of the Elbe River, the Baroque Manor was a popular summer retreat among many merchants from Dresden, which is only an hours’ drive from the manor. Spread across 2 acres, the floor space of the manor comes to about 11,000 sq ft. Although in good condition, it needs a few cosmetic repairs. This 16th century castle is situated on a steep hill and overlooks the mountains of Southern Saxony. Last renovated in the 18th century, the around 7000 sq. ft. castle has a vaulted basement. Situated next to the castle is a distillery which made schnapps and liquor. Built in the 14th century, this castle was only a fortress. In the 17th century, a large portion of it was burned down by Croatian invaders but was rebuilt later using the surviving elements. Spread across four acres, the castle is set atop a hill above Reinsberg, around 25 km from Dresden. 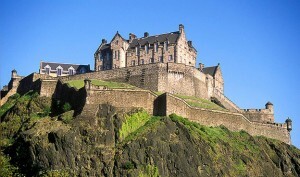 The castle at Edinburgh, Scotland is one of the oldest in the world and records of settlement at the place go as far back as 900 BC. Very little of that portion exists, though, and a new castle was built over the remaining portion during the 11th century AD. The castle is now a major tourist attraction. Set in Norfolk, England, this castle was built by William de Albini in the 12th century to celebrate his marriage to the widow of Henry I. the castle is also known as being the place to which the widow of Edward II was exiled by her son. A rectangular keep that is well preserved along with 12 acres of earthwork defences are the other attractions of this castle. The castles mentioned here do not form even a percentage of the abundance of castles present in Europe. 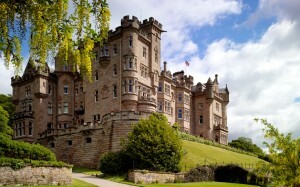 While there are many castles for sale in Europe, many of the popular ones have already been bought. Most of them are expensive and the less expensive ones will cost a fortune in renovation. However, the castles are a worthy buy and the time is ripe to invest in one. Andrew Butler the author of the “Famous castles of Europe” runs a luxury French Chateaux, a website that showcases a wide range of luxury French properties. An ideal starting point for those looking to find a luxury chateau for sale in France or a stunning castle for sale as a property or business investment.